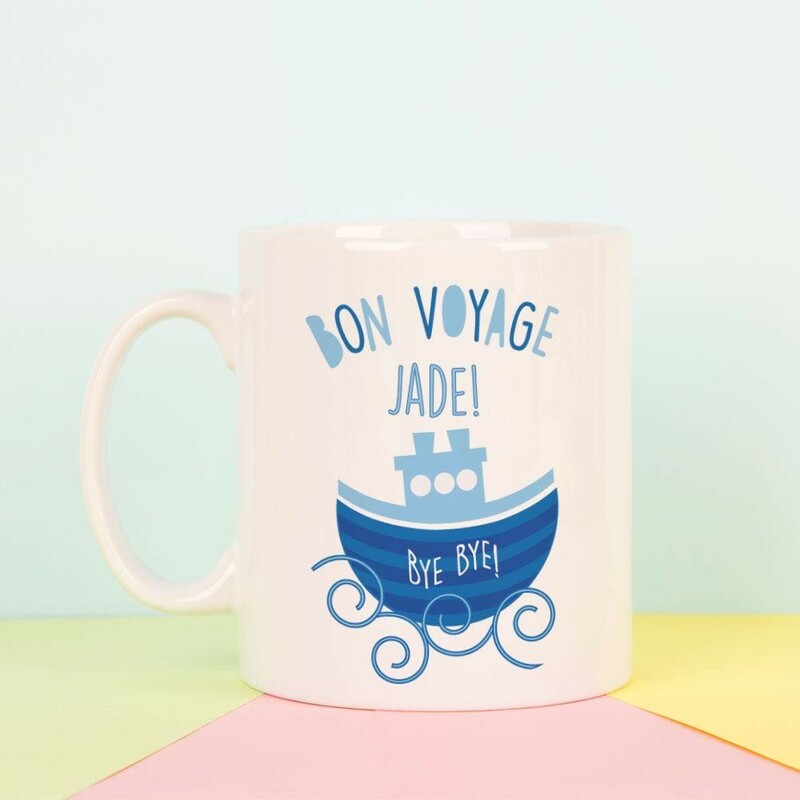 Wish a special friend a Bon Voyage as they set off on their journey, with a keepsake mug to take with them. The modern design features a blue ferry out on the sea - with "bye bye!" text in the middle of it. 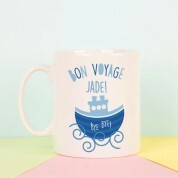 The top of the mug has the "bon voyage" text, and is personalised with the recipient's name. 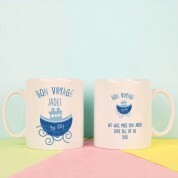 Complete the gift with a personal message of your choice on the back. 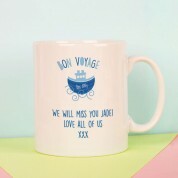 It's a great memento for them to keep as they set off on their new adventure, and will always remind them of home.